We want to protect your Android phone and tablets, so we’re giving you the chance to win a free license for the most trusted Android security product in the world! How much do you know about your phone’s security? Do you know all the ways to use avast! Mobile Security’s anti-theft feature to track your phone? Take the avast! 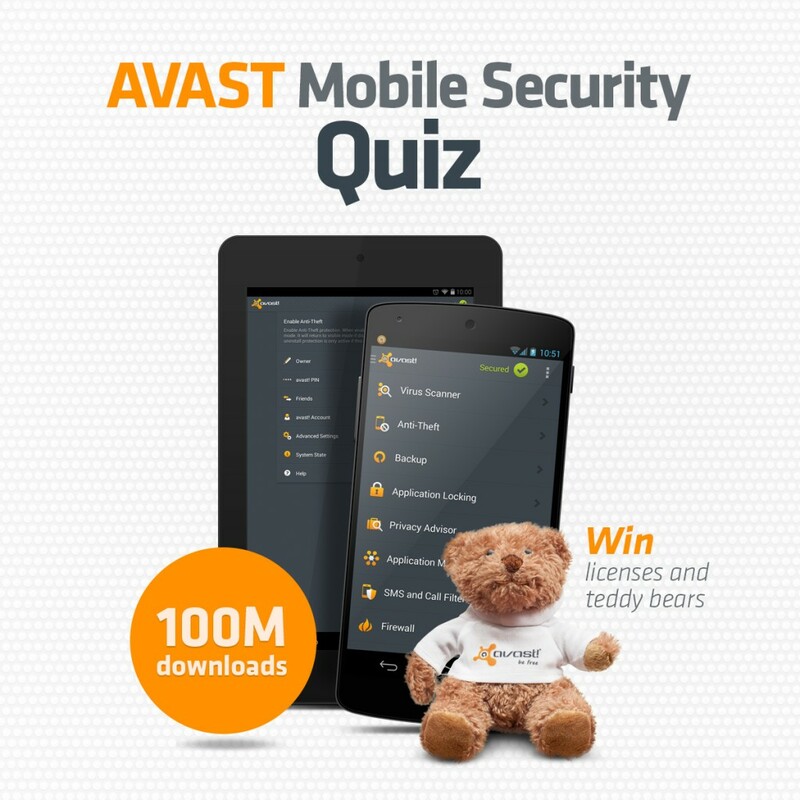 Mobile Security quiz and find out! Answer all 5 questions correctly (don’t worry, we’ll give you hints) and you’ll be in the running to win a free 1-year license for avast! Mobile Premium! One lucky winner will win LIFETIME protection, and 10 lucky winners will receive a rare avast! teddy bear.